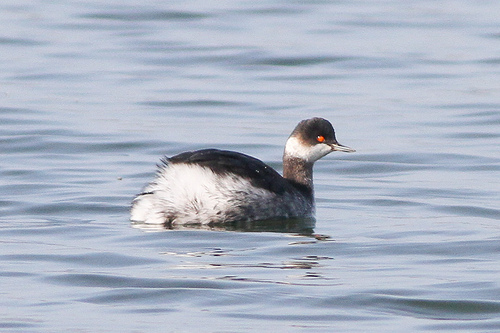 The Black-necked Grebe is a rare bird, which breeds mainly in eastern Europe. It's a grebe of lakes and reeds. The Black-necked Grebe has a slightly up-tilted beak. 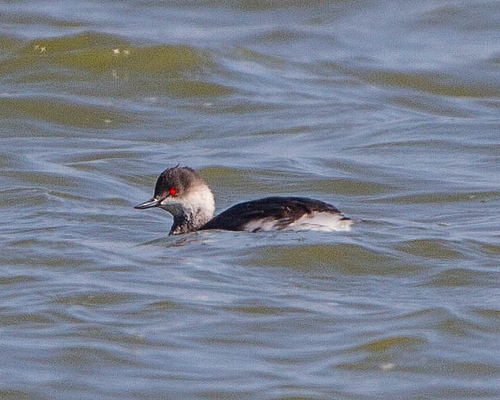 The Horned Grebe has a straight beak.